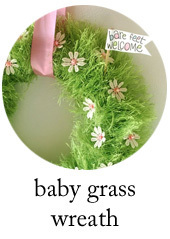 I am seeing my spring baby grass wreath all over the internet. (It's quite amazing!) I got my baby grass wreath out of winter storage and hung it up a few days ago. 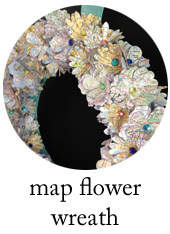 If you are looking for an easy craft for spring you may want to give this wreath a try. It takes some time to wrap the yarn but you could pop in a fun movie and wrap while you watch. I've seen variations of the wreath as well, with cute little chicks and tiny easter eggs, and even a yellow fun fur wreath with orange carrots! 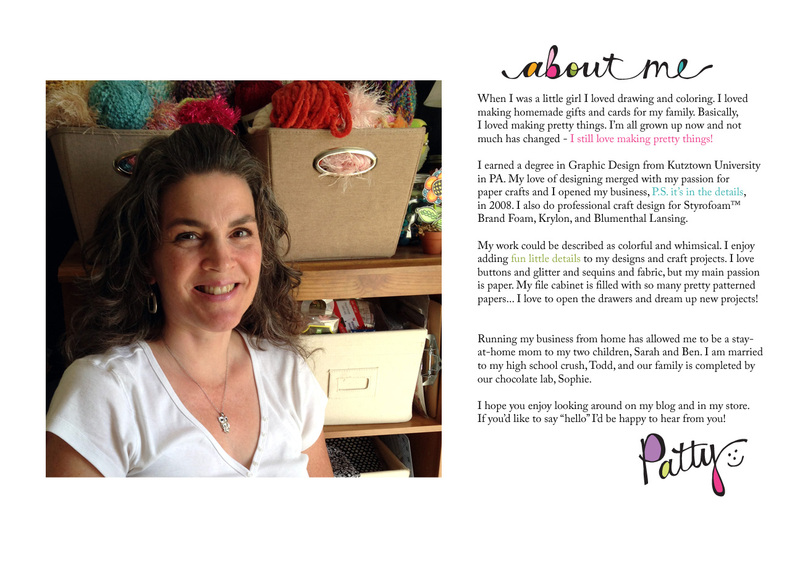 Be inspired to create something pretty! Some pretty new butterflies have fluttered into my shop. I have a jewelry box that belonged to my grandmother. I've had it in storage for several years and I recently got it out to use it. The thing is, it looked old and wasn't very attractive. Thus - the jewelry box makeover!!! I hope this inspires you to look at things differently. You can always add your personal touch to things and add new life to them! Thank goodness for Google because I was able to find a mood ring chart. This bright turquoise means that when I took the picture I was in a normal, easy-going mood. Somewhat relaxed but enthusiastic. Hunh. The mood ring has since changed to an orange-brown which indicates thinking, stimulating ideas and busyness. Very interesting! 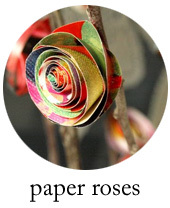 I have a tutorial on papernstitch showing you step-by-step instructions on how to make a paper rose. I've featured them several times here on my blog and was getting asked how to make them. Sarah and Ben and their Valentine's Day balloons; a Valentine in Ben's lunchbox; making chocolate covered strawberries for my special Valentines... Sarah, Ben and Todd. I was in the mood to try my hand at a little oil pastel illustration of Mr. Robin, harbinger of Spring.